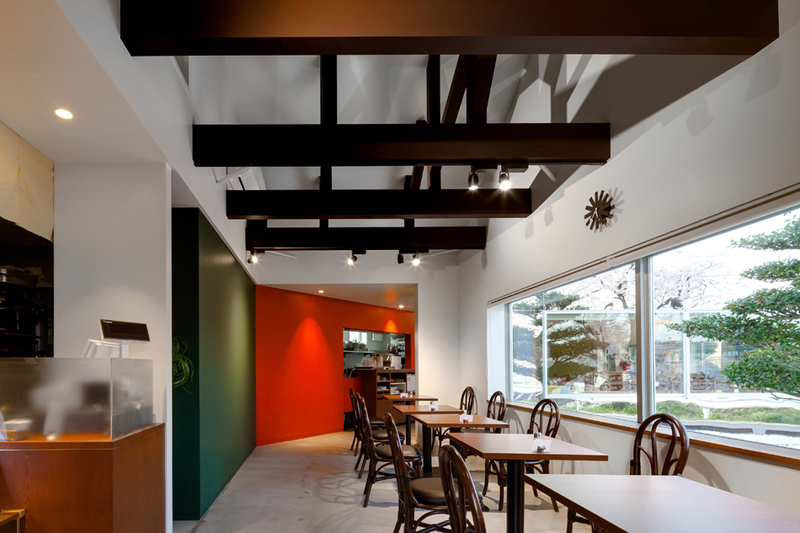 Progetto molto interessante per questo caffè a Gifu city in Giappone. 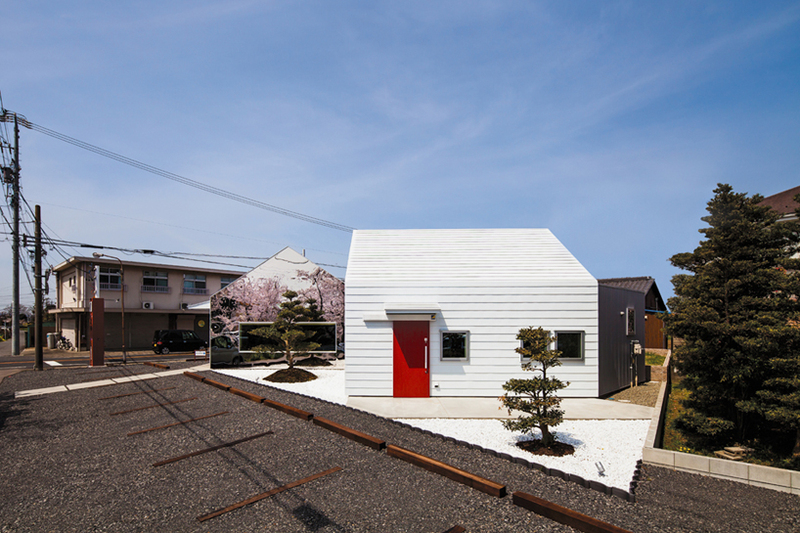 Una casa aperta in due e rivestita con pareti a specchio. 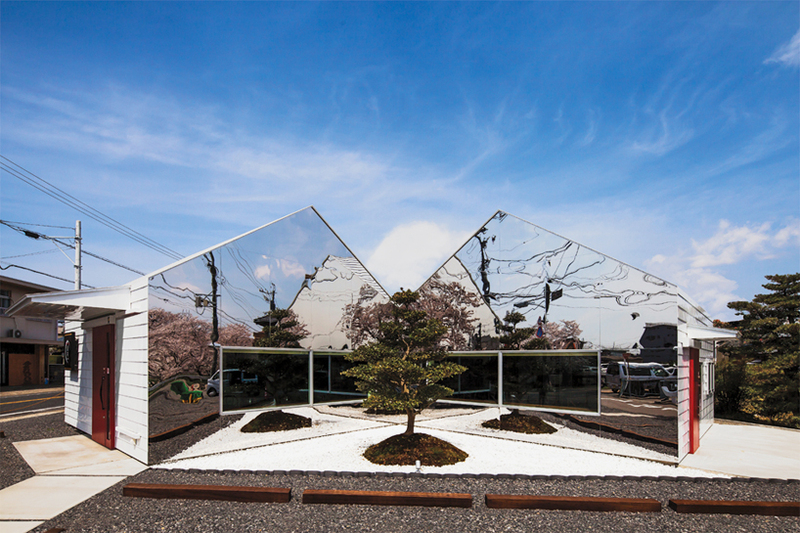 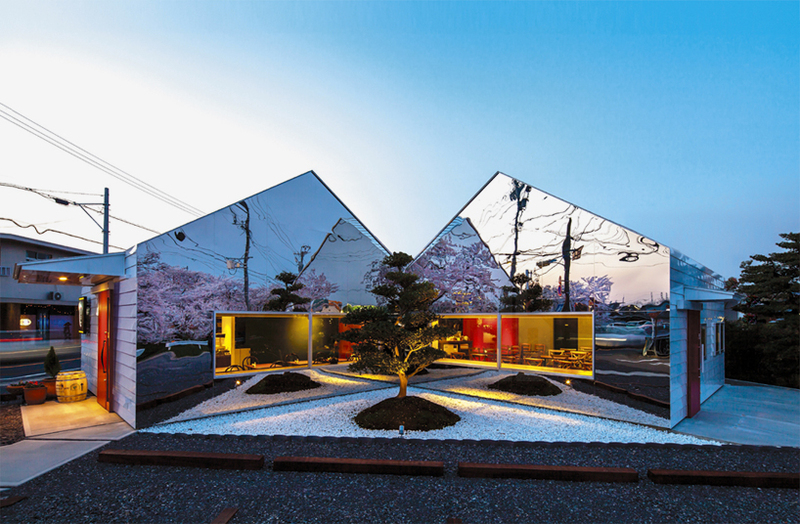 this roadside café by japanese practice bandesign is clad with polished mirrored surfaces that reflect the building’s residential environment. 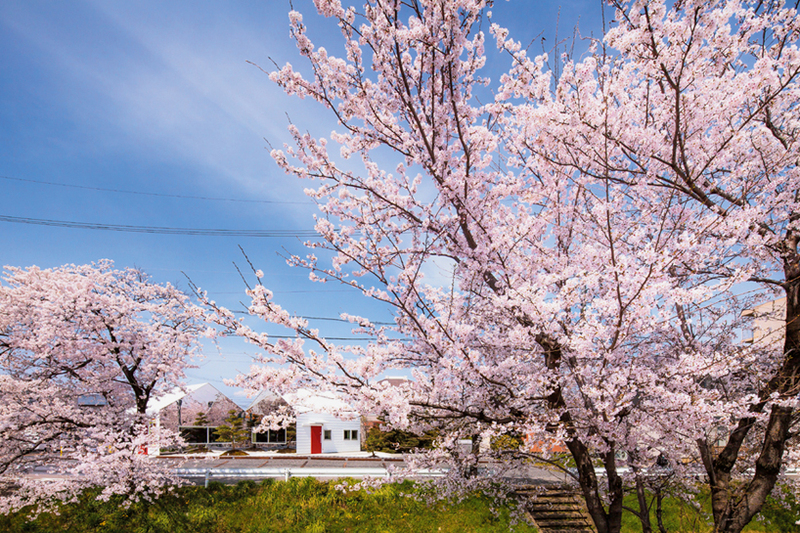 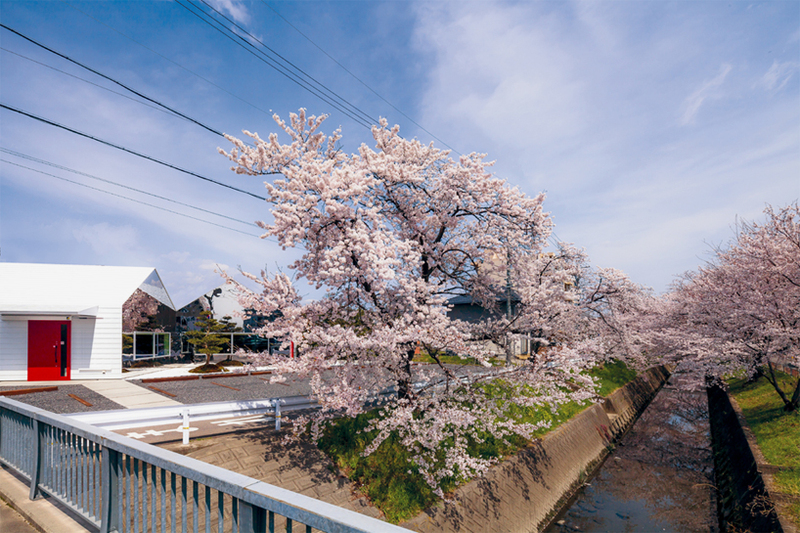 situated in the country’s gifu prefecture, the project is positioned opposite a row of cherry trees, a popular destination for visitors during the blossom season. 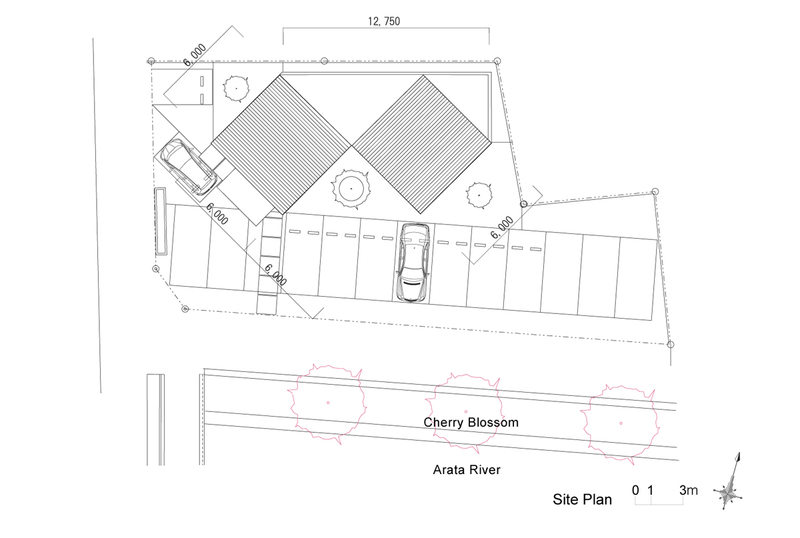 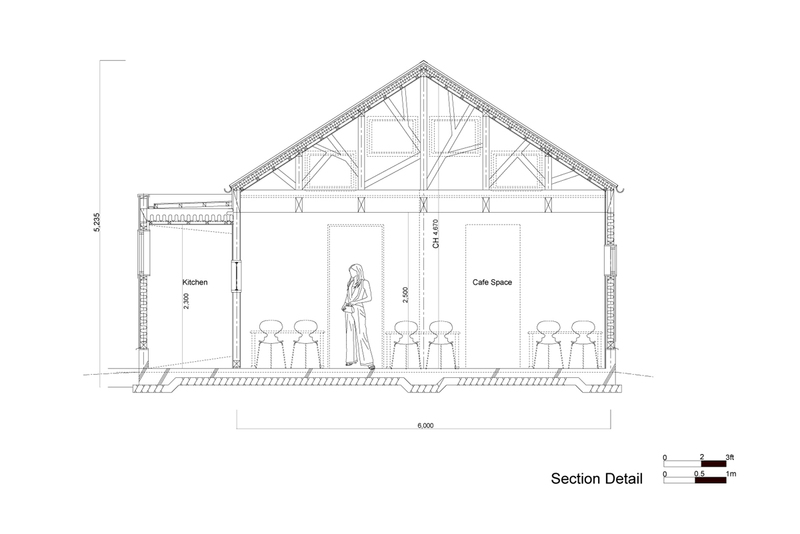 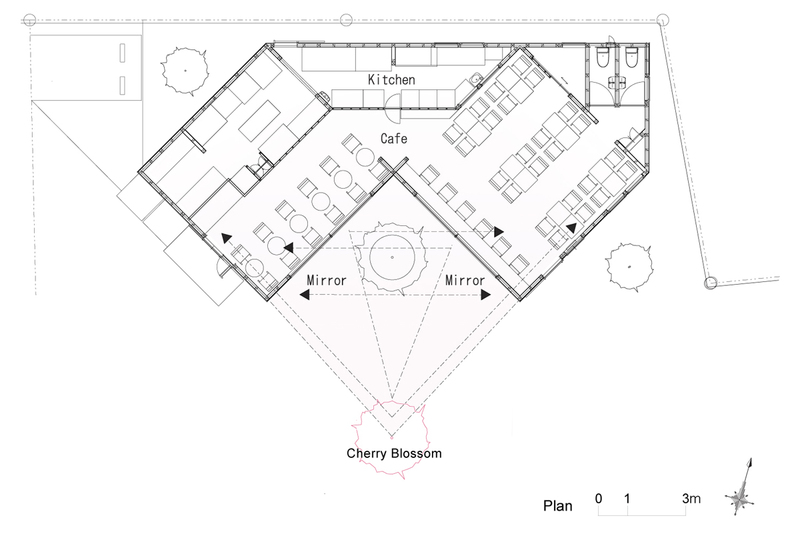 internally, dining areas are organized around two openings that present external views of the arboreal setting, while a small kitchen is found at the rear of the plan. 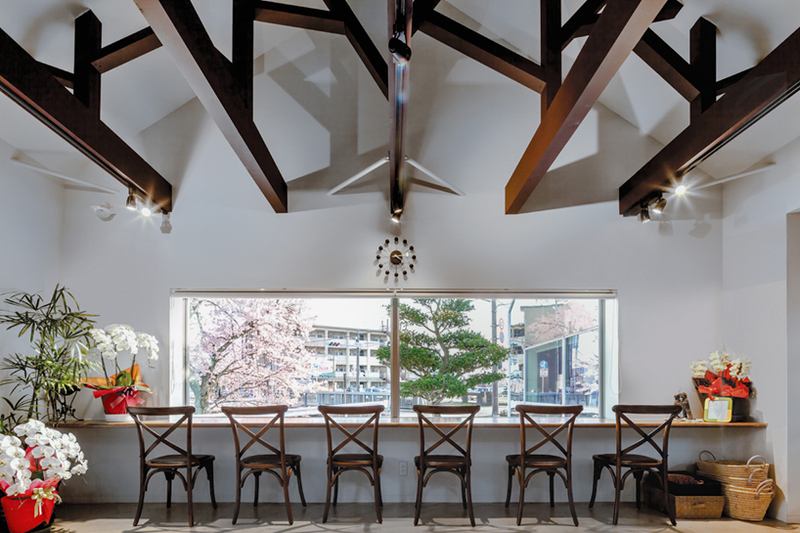 furthering the strong connection the scheme shares with nature, vertical roof struts take the form of individual branches, allowing guests to feel as if they are able to take refuge underneath the protective tree-like structure. 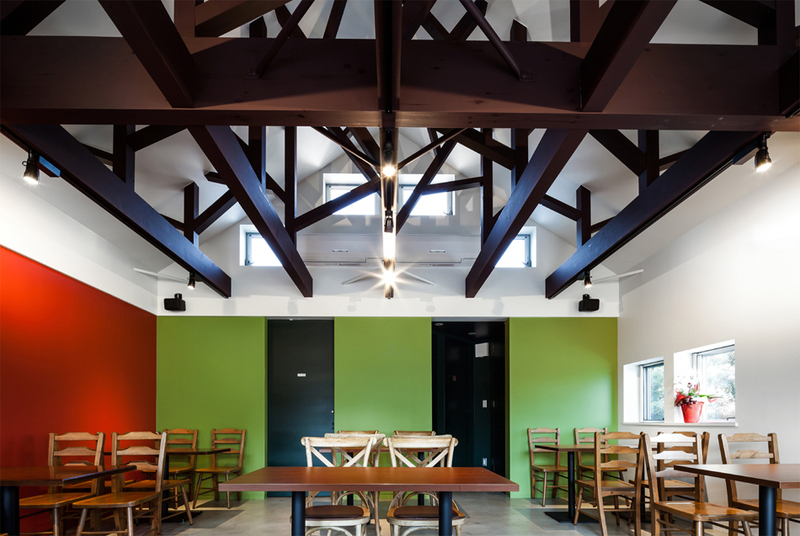 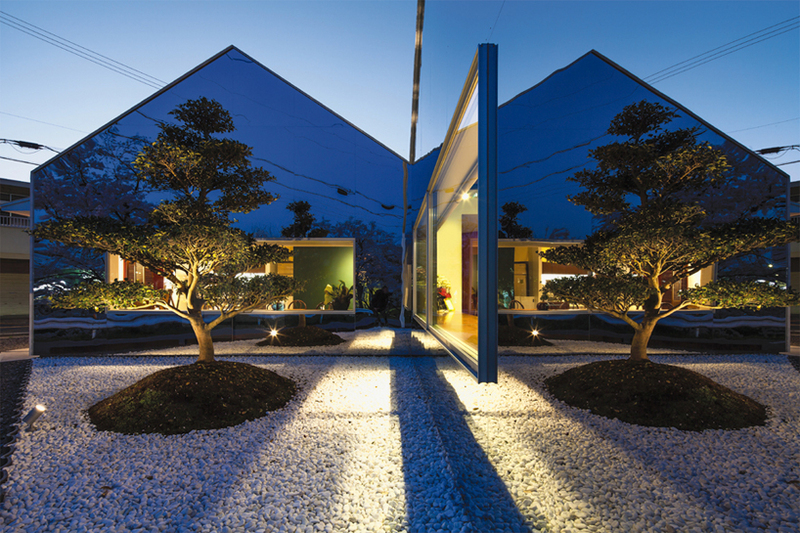 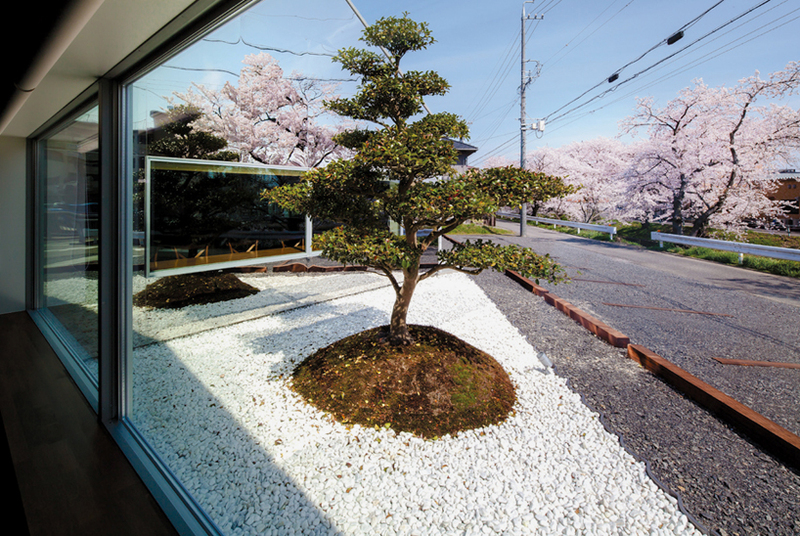 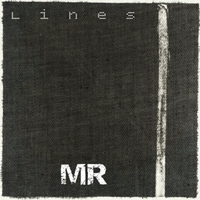 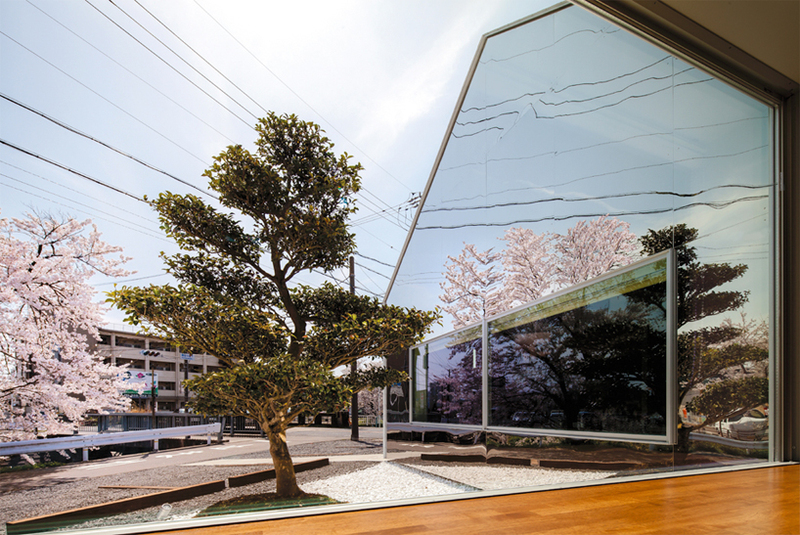 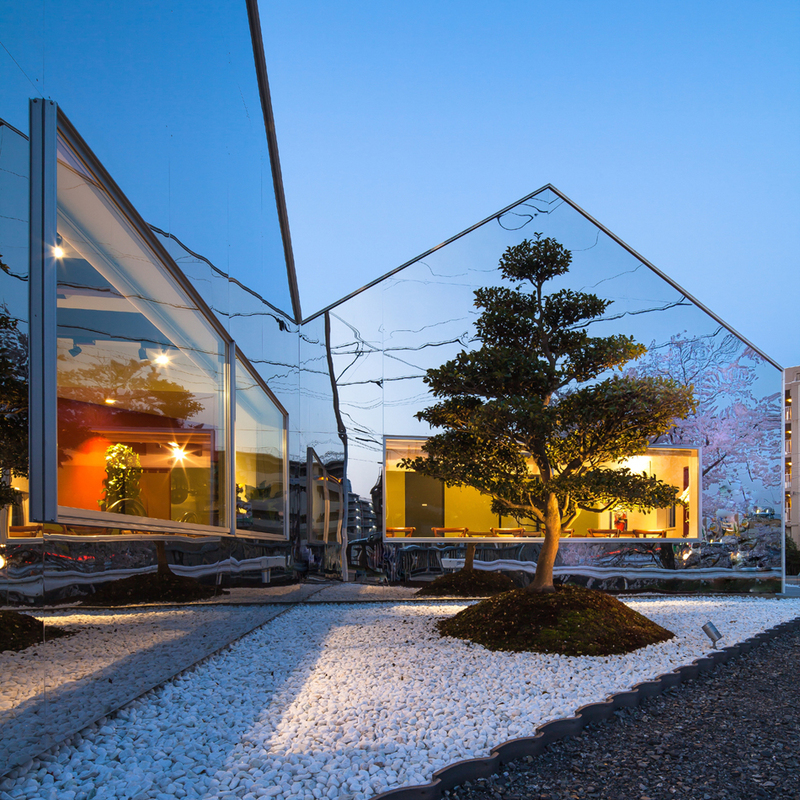 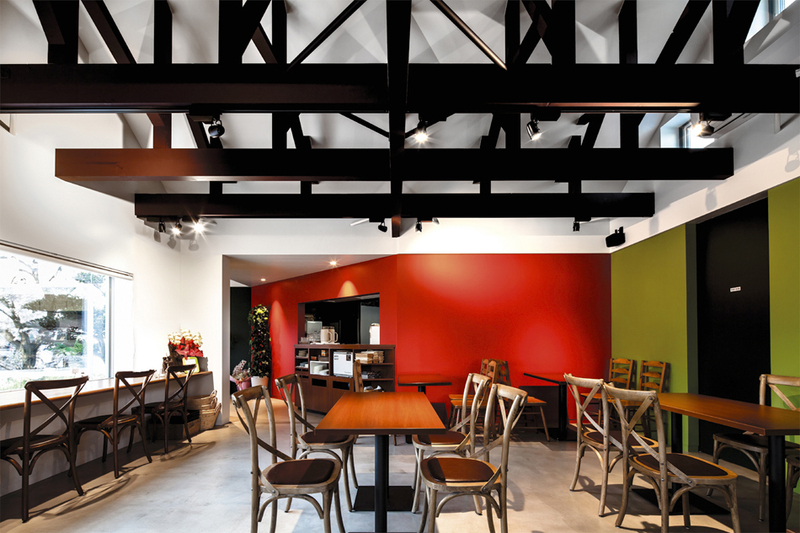 architects: hisanori ban / bandesign, ltd.